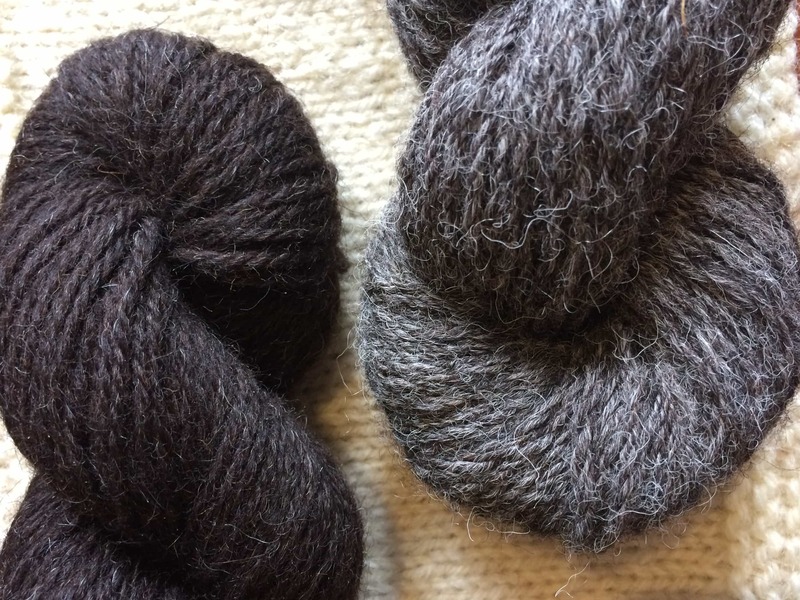 Reminder: we have two wool explorations this month. This is to give those going to EYF a chance to buy their Ryeland at the Sunday event. The deadline for the Ryeland is 23rd March. We’re about the start exploring the conservation breed Jacobs, which will conclude our first quarter of Wool Exploration! © Copyright Russel Wills and used under Creative Commons Licence. As usual I like to kick off with an introduction to this breed from The Fleece and Fibre Sourcebook, by Deb Robson and Carol Ekarius. This really is a great book and cannot recommend it more highly. I am under no obligation from the authors or publisher to say that, I just believe it is the best handbook for your Wool Exploration. The wool has many Down-like qualities, especially in the middle of its exceptionally fine to coarse range. Kemp, if present, may give the wool a tweedy effect, and most Jacob has a springy quality. 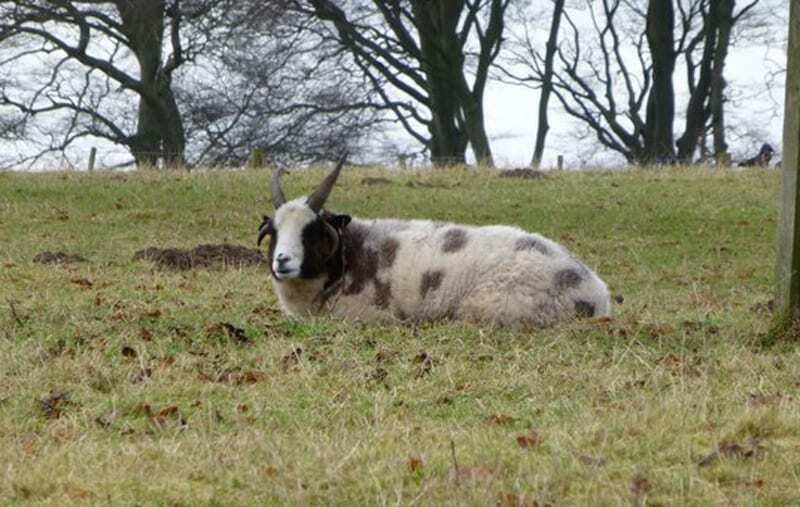 The sheep are often predominantly white with spots of another colour – black. 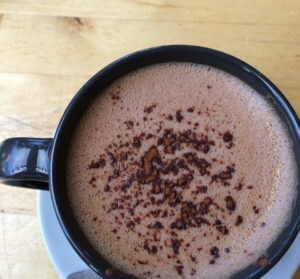 brownish, or what is called lilac, which is not a single colour and is not yet entirely understood from a genetic perspective. I am looking forward to this as, again, we have a breed here that is going to show us a wide range of yarns and textures. In the F&FSB they show samples of both British and American Jacob yarn and the results are very different. I also remember from a wovember post a few year ago that Sue Blacker said that this is a fleece that benefits from both woollen and worsted spinning, so I will be keen to see the results between preparations too. I had some early KnitBritish blog exploration of Jacobs, which can be found here. I also used Jacobs in my Evolution of a Swatch session at EYF, with Sonja Bargielowska. We had samples from cast off to washed and block, to worn and to felted – so I will be digging them out again this month too. | Where can I buy Jacobs? Bekki at the Dartmoor Yarn Company has 4ply Jacobs in the two natural colours. The Jacobs fleece comes from Shutecombe Farm’s Pedigree, in Bere Ferrers – approximately 3 miles from Dartmoor National Park. The wool is woollen-spun and in a 50g ball there is 175m. Garthernor also have natural Jacobs yarns, DK in grey marl and Aran- Jacob Marl and Whitewash. World of Wool has an array of yarns and fibres in different preparations from £1.50 per 100g combed tops to £5.75 for super chunky yarn. If you subscribe to Blacker Yarns newsletter you will know that they are about to relaunch their Jacob yarn. You can currently purchase the white, 4ply worsted-spun, but middle of this month you can expect to see a new range, with dyed shades. I’ve got a preview for you on the next episode, out next week! Jacobs is such a popular fibre for spinners that you should not find any trouble in seeking fleece, roving, batts, etc. The same goes for spun yarns, I think you will find lots of choice. I didn’t find much hand-dyed, but a search on etsy or folksy will yield results. I’ve ordered a small amount of Jacobs fleece from Wychwood Spinner on etsy and plan to drop spindle this month, as well as test out two Jacobs yarns. The fleece that I bought has been termed lavendar, which I am guessing is that lilac variety mentioned above. When the postman finally gets it to me, I will be keen to explore it more. | How do I take part in Wool Exploration? If you haven’t explored with us already this year then all the info you need is in this post. The deadline is 9th April and here is your link to google form, so you can post your reviews. The chat thread is now open in the KB ravelry group. The next breeds we will be exploring are Teeswater, Romney, Dorsets and Southdown and I wrote a post about this last week. Check out the info and deadlines there. Bekki has been very kind and is giving away a 50g cake of their lovely brown Jacobs 4ply yarn for one of our explorers this month. That is so kind! To be in with a chance of winning, please comment below and tell us what you are enjoying most about wool exploration. I will close this giveaway pretty sharpish on Sunday 11th March and I will draw a winner at random soon after. 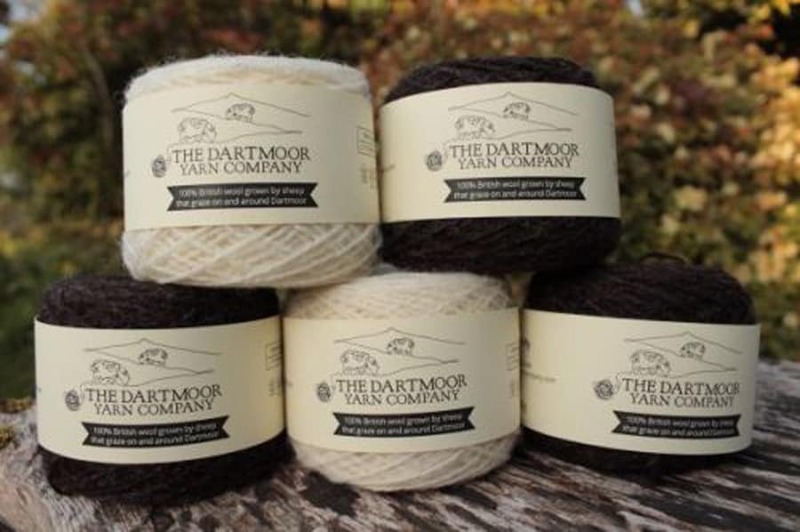 Dartmoor Yarn Company also sell pure Ryeland yarn in 4ply and DK and a whole range of knitting kits, do visit and have a look around their online shop. Thanks for the prize, Bekki. HURRAH! Random.org picked comment number 1, Sando! Sandra send me your address and I will pass it on to Bekki. Congrats! 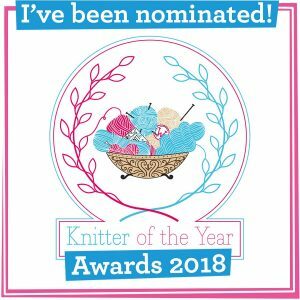 *= Brityarn is closing its doors on 28th March. Isla has a code THISISNOTGOODBYE for 20% off everything in store. I’m enjoying the challenge of sourcing, Spinning and swatching the fibres. It’s making me a much more mindful crafter. And at the end of the year I should have a blanket to be proud of. The wool exploration has made me familiar with swatching and how different yarns respond to washing and blocking – hadn’t really appreciated before how big the differences are and how much information can be gathered from a little investigation. I might just be learning to be a bit more patient when deciding how to use yarn and what it is best suited for. The wool exploration has become a part of my changing view of my craft. I am thinking more carefully about the wool and the design together, as well as just being thrilled with learning more about the breeds. And of course, it’s introduced me to small producers I did not even know about. I am reminded of our wool explorations every morning during our current cold spell. The North Ronaldsay caps I knit are keeping our heads nice and warm, and the halo and softer touch which have developed over the past couple of months of wear just add to our appreciation. I love reading other peoples thoughts and findings on wool breeds I have handled or want to in the future. Plus, I get to find more suppliers which stock single breed yarn and fibre. Would love to wear something knitted in your lovely yarn while walking on Dartmoor. Match the colours and breath in the fresh air and listen to the Jacobs bleating away. Showing off my knitted design to the sheep. I wonder what they would think of it ? I am just enjoying knitting with the wool. I am fascinated by the different qualities of each breed. For a few years now I have loved indie dyed merino but I have realised now that the enjoyment here is the play of colour not the feel of the wool or it’s character which comes with proper woolly wool ! I really enjoy learning about different sheep breeds and the characteristics of their wool. Knitting with natural yarns is a real treat and breeds like Jacobs have such variety in their coloring. I look forward to seeing how the lavendar looks! How kind. I am new to wool exploration and am enjoying finding out about the amazing range of sheep breeds we have here. It is also making me think about matching yarn to projects in a more thoughtful way. 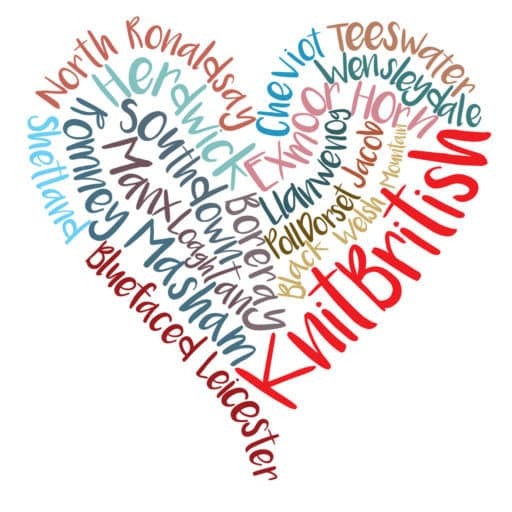 Thank you so much for helping to give knitters, sheep and producers a voice and to encourage sheep diversity! My biggest motivation, though: opportunity to participate in structured group notes. As with others, I appreciate seeing word of sources in the UK and the thoughts of others on the different breeds. I’m a relatively new spinner – have knit/crocheted/woven for a while, but am trying to understand the transformation from raw wool (a la Beth Smith’s book – The Spinner’s Book of Fleece, in which there are many breed swatch studies, knitted and woven – and I have absolutely no financial interest in her book – it just focused on what I wanted help with). Spouse is about to have major surgery – I need a distraction that’s purposeful, pleasant and portable. Response to the Wychwood order was very fast (very relieved! – I’m based in US – …and you can therefore omit me from the Jacob cake competition).